Dr. Patrick Campbell with Campbell Chiropractic is conveniently located on the Martin Bypass across from Toyota South in Richmond, Kentucky. Dr. Campbell was born and raised in eastern Kentucky. He attended Belfry High School and Morehead State University. Dr. Campbell graduated with honors from Life University in Marietta, GA with his Doctor of Chiropractic degree. He is National and State Board certified to practice chiropractic. He is National Board Certified in Physiological Therapeutics. Dr. Campbell is a certified peer reviewer/insurance consultant in the state of Kentucky. Dr. Campbell is a member of the American Chiropractic Association. Campbell Chiropractic was chosen to be a member of the Better Business Bureau in 2009. Campbell Chiropractic is a member of the Richmond Chamber of Commerce and part of the Health and Wellness Committee. He has taken numerous post-graduate courses in the following areas: sports injuries, whiplash and automobile accidents, pediatrics, maternity care, extremity adjusting and custom orthotics, exercise rehab. of acute/chronic injuries, and myofascial release/trigger point therapy. 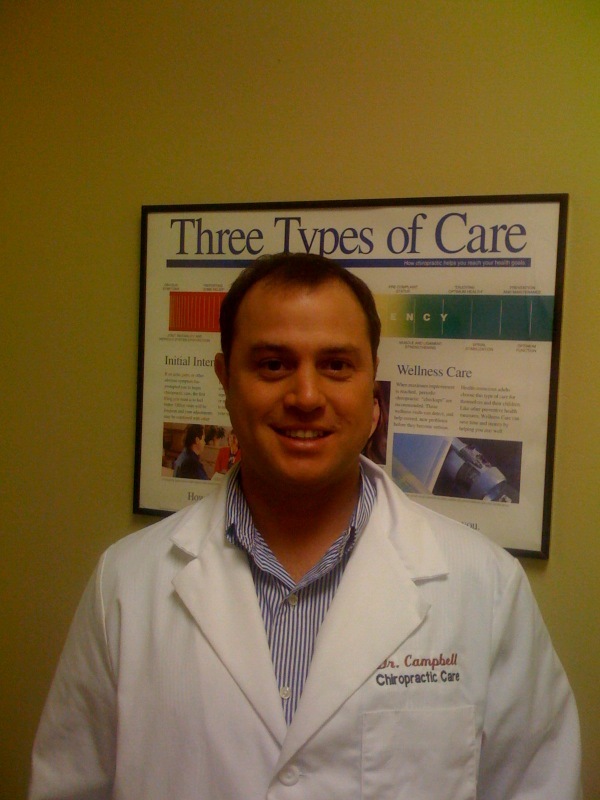 Dr. Campbell is married to Jennifer Campbell, RN, who is also the office manager at Campbell Chiropractic. Most of their free time is spent with their children. Jackson, our oldest son attends E. J. Hayes Middle School and part of their Spanish program. Presley, our youngest, attends Liberty Elementary School and is part of their Spanish program. Both kids are in numerous sports and activities.